A crew of scouts from Troop 353 installed new flower beds outside the Immaculate Conception rectory today, as part of David’s Life Scout service project. Scouts from Troop 353 brought donations to Eastchester Community Action Partnership on Friday to stock the food pantry for Thanksgiving. Mr. Don Brown, the Director of ECAP, thanked the scouts and told them that people in this community need help, even though that isn’t always obvious. ECAP will distribute approximately 275 food baskets to families in our community for Thanksgiving. Much of the food distributed comes from the troop and cub pack food drives. Troop 353 has sponsored this food drive every year since 1998. 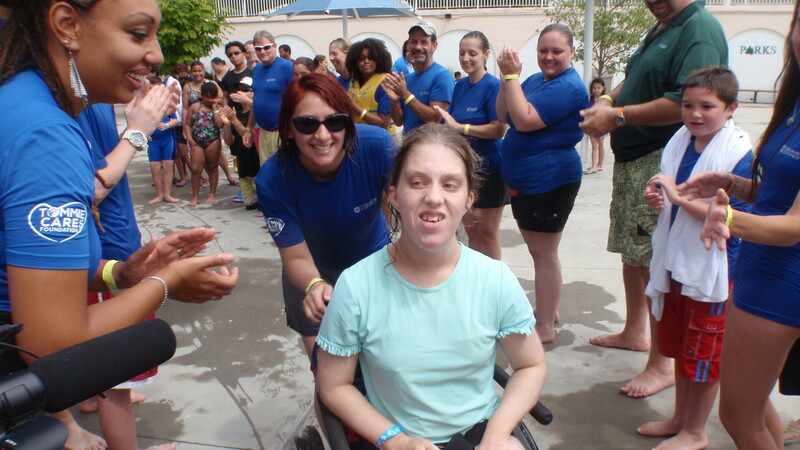 It is not every day that a child with disabilities gets to have a social outing at a local swimming pool. It is also not every day that a scout gets to “earn” community service hours for playing in a water park, but both are exactly what occurred in August 2013. Scouts from Troop 5 Bronxville and Troop 353 Eastchester participated in helping children with special needs enjoy a few hours of FUN at the local water park, Tibbetts Brook Park. The event was sponsored by the Tommie Cares Foundation (TCF), which focuses on selected sports (selected water & snow sports) for children with special needs. The TCF was started in 2013 by the founder of the Tommie Copper organization, a line of copper-infused compression sports clothing. The event was exceptionally well-organized and the pre-event training for volunteers on how to understand and play with children with special needs safely and comfortably was exceptionally practical and thorough. Even though passing thunderstorms delayed the start of the event for an hour, there was no shortage of FUN activities inside waiting for the rain to pass. After an hour or so in the pool, a special awards ceremony recognized every child! It was a particularly happy moment for many children and families. Not only did the scouts have a very gratifying time, but the special needs children had the memory of a lifetime! Here are some more great photos here! 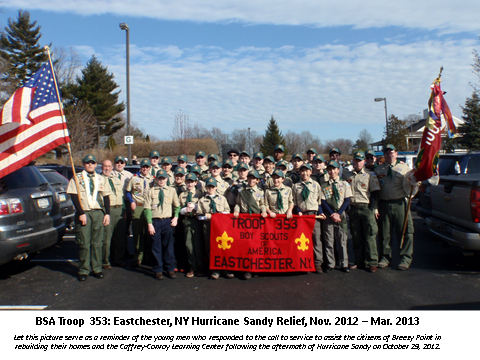 Soon after the Super-Storm Sandy devastated the Breezy Point Area, Troop 353 junior scouts conducted a local supply drive and raised money while senior scouts responded to the area. Recently, a few of those senior scouts returned to Breezy Point representing our troop and were recognized by members of the local community as well as by Habitat for Humanity. 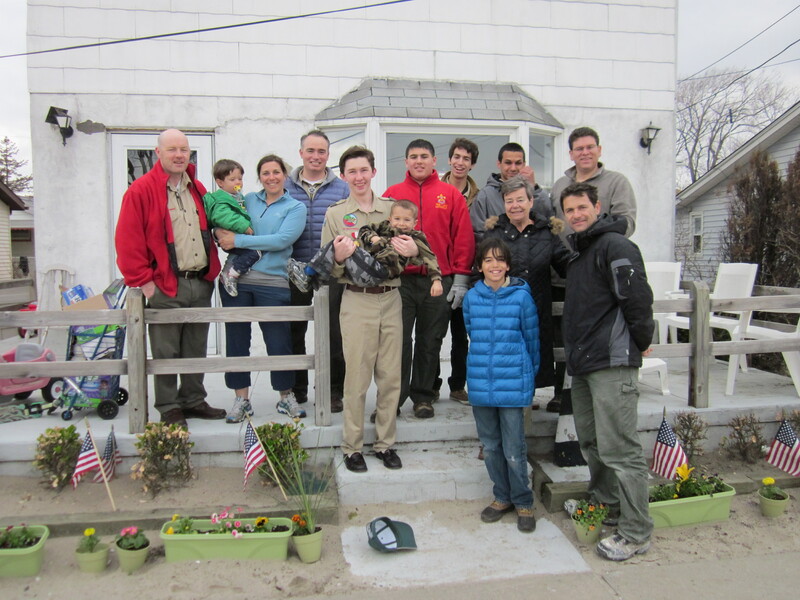 Thanks to Troop 353, a once uninhabitable structure now serves as a Learning Center for local students as well as the new Breezy Point Command Post for Habitat for Humanity. The structure was gutted by scouts and parents of our troop and rebuilt principally though the efforts of ASM Flannery and Flannery Contracting. Our troop also assisted with the collection of supplies and money. 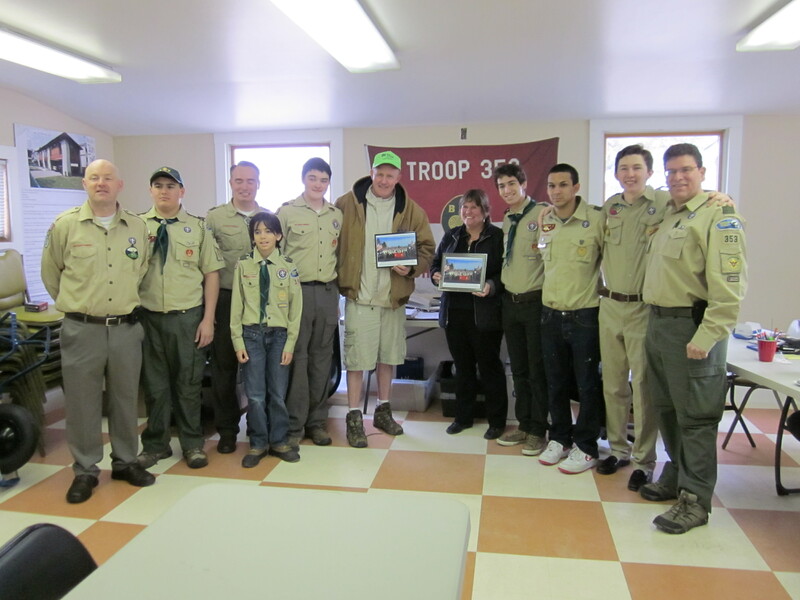 The funds raised by our scouts were matched (2x) by ASM DeKnatel’s company, Cisco Systems. 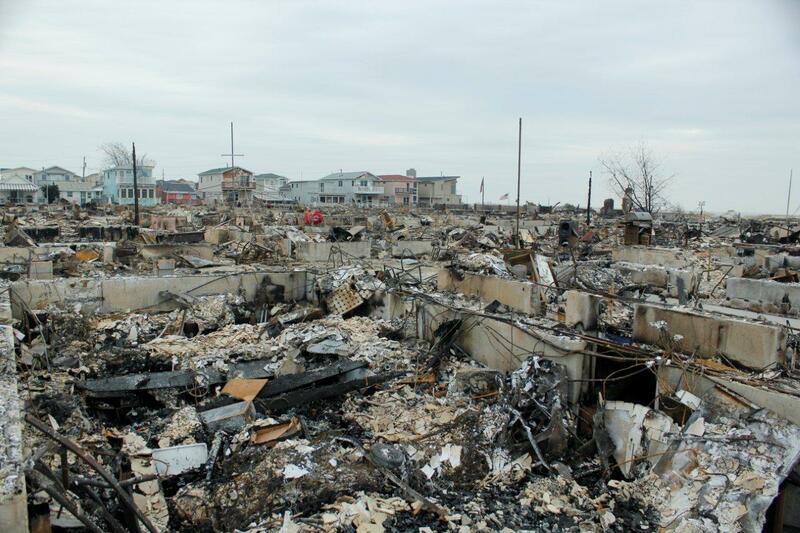 In addition, we brought several vans full of food, clothes, supplies, and raised over four thousand dollars to help the Breezy Point Community. 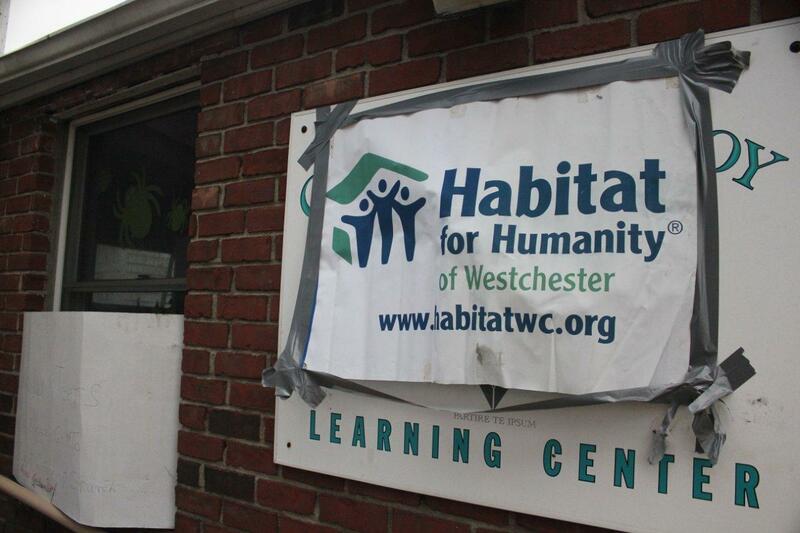 At a ceremony in the New Command Post, our Scouts were acknowledged by Mr Jim Killoran, the Westchester Executive Director for Habitat for Humanity. 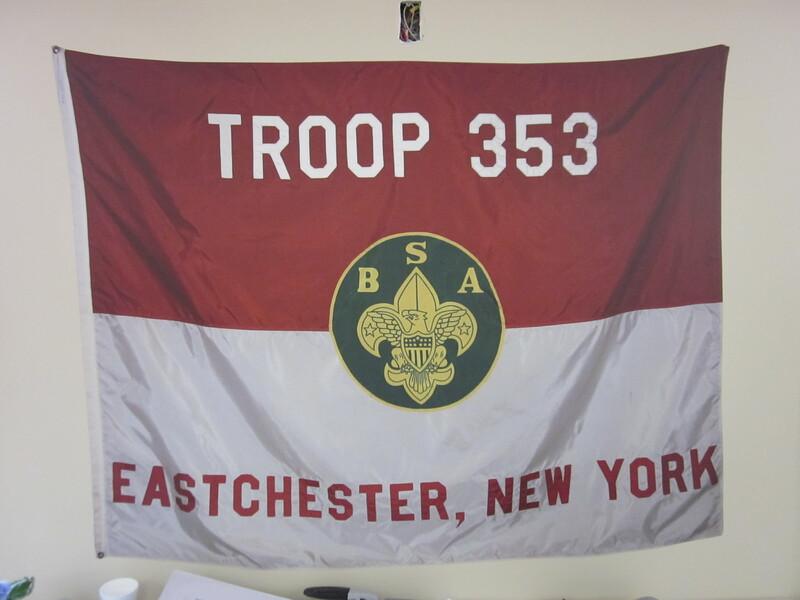 In honor of Troop 353, a full scale copy of Troop 353’s Patrol Flag is permanently affixed to the wall in the Command Post!! Mr Killoran said that the “Community Service” our troop flag represents will serve as an inspiration to the many other volunteers that will serve the area. Mr Killoran was joined by a Mrs Betsy Hendry who is the Director of this new Caffrey-Conroy Learning Center at Breezy Point. Mrs Hendry also thanked Troop 353 and became quite emotional. She explained that her tears were from the “joy of knowing there are good people who would come to the aid of others”. Of course, while we were there, scouts and adult leaders alike rolled up their sleeves to do some additional community service by helping a family who’s home was still covered with debris. We managed to spruce it up quite a bit which put huge smiles on the faces of the family that lived there! Scouts still managed to find time for a few piggy-back relay races on the sand. Community Service — Remembering Dr. Martin Luther King, Jr. 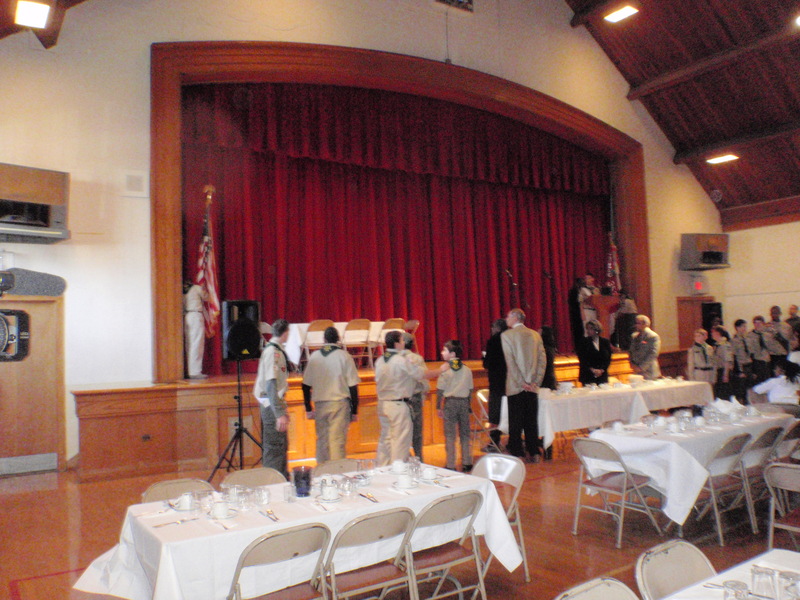 When the troop is invited by Eastchester Community Action Program (ECAP) to help out at its events, the scouts are always eager to assist. 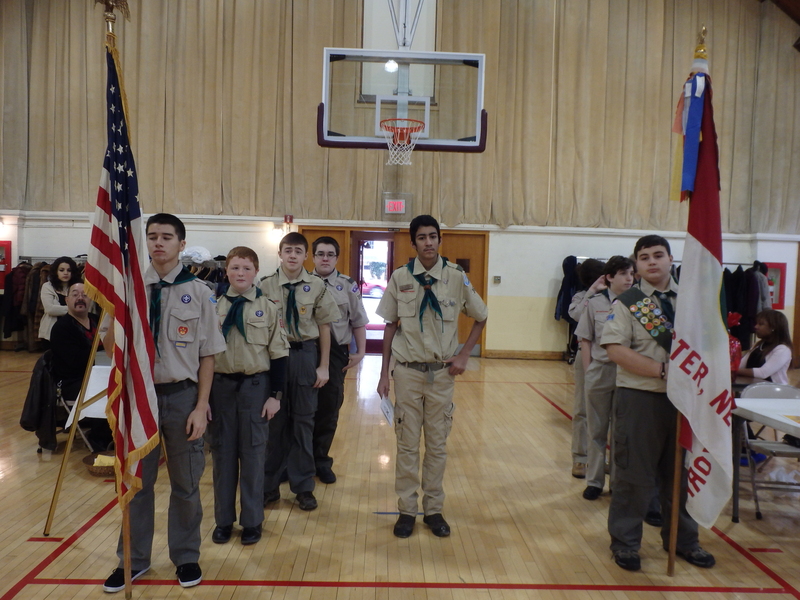 Notwithstanding the opening flag ceremony being led traditionally by the T353 SPL (Chris L in 2012) at the annual MLK celebration, the troop had a one of the larger contingents to assist in recent memory! The scouts appeared sharp in their uniforms and the breadth of attendance added pagentry to the event. The Mayor of Tuckahoe Steve Ecklond was so moved about T353’s frequent community presence that he chose to recognized T353 scouts a second time following the flag ceremony. 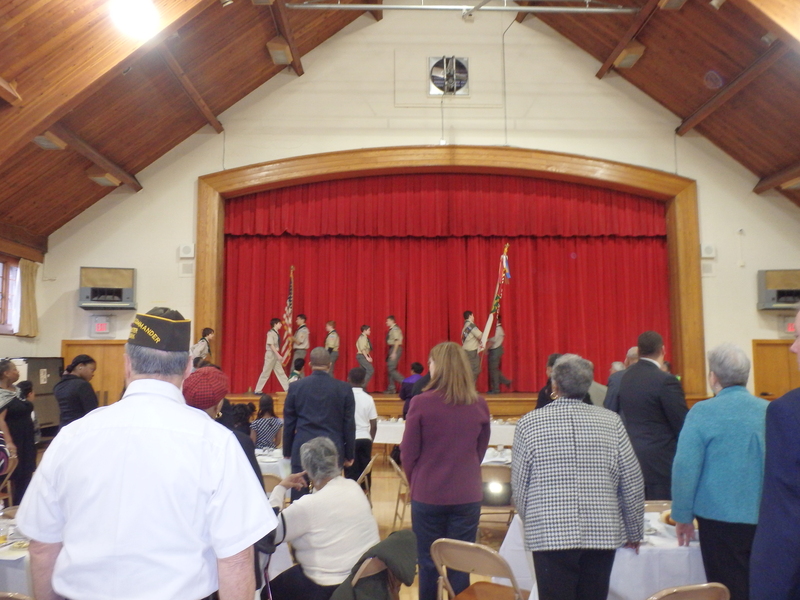 At one time, the opening ceremony for the ECAP-sposored MLK breakfast was shared by various local scout troops. After the opening ceremony and invocation, the scouts are privileged to enjoy a buffett breakfast and listen to the inspirational comments of some of the more important community leaders as well as historic presentations by children from local schools. 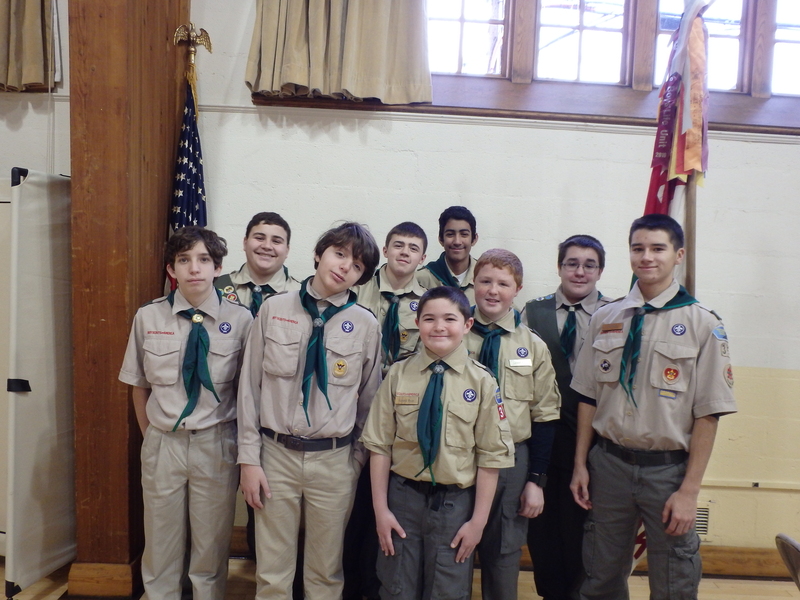 Additionally, the scouts typically accrue 90–120 minutes of community service credit. The T-353 leaders are very proud of our Scouts ongoing commitment to this important community event, as these photos suggest! Author scoutmasterPosted on January 25, 2012 February 8, 2012 Categories Activities, Community Service, Events, In the News, ServiceLeave a comment on Community Service — Remembering Dr. Martin Luther King, Jr.